Yes, unified as in “everything you ever wanted to do with panelists, online communities, qualitative ànd quantitative projects, online and mobile,…” tightly integrated into a single platform. Gone are the times where you had to integrate 2, 3 or even more software solutions to get things done, especially when coping with new technology or evolutions in MRX. This way, you can spend more time doing the work you actually want to do: running high-quality community projects. It all starts with our core module: a powerful, flexible and highly versatile project and user management application, featuring a vast array of sampling possibilities and project types: quantitative ones such as Askia web surveys, or Smart mobile surveys (“shoot a video of your cat!”), but also qualitative ones such as group talk, diary, or forum projects. Since both your (completely customizable) community member portal and mobile app are linked with the core module, it’s extremely easy to decide which panel member gets an invite to a new project, and which channel to use. Reward users through the gamification system, supporting both financial & other rewards such as community badges, access to specific member portal areas, or even moderator privileges. As the time consumers spend online is dramatically shifting from laptops and pc’s towards mobile devices, PlatformOne leverages this trend by introducing a member app. Available for both iOS and Android platforms, and compatible with all PlatformOne project types (yes, even the qual ones!). Next to the standard PlatformOne app, branded versions are possible as well. Compatible with Beacon technology: beacons are small Bluetooth transmitters that can be installed anywhere, and can be programmed to send a trigger to anyone passing by. This way, community tasks can be sent to anyone who installed your panel member app, such as “you just visited our store, care to shoot a small video with your initial impression?” or “thanks for boarding our bus service, how easy was it to find a free seat?”. Indeed, the possibilities for market research are enormous! 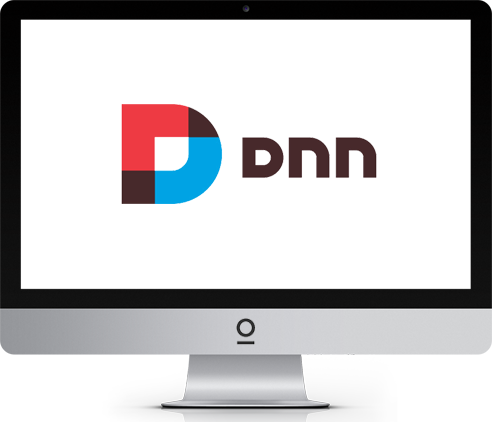 Create a snazzy member portal using the newest web technology, and change it as many times as you want thanks to the platform’s openness and the integration of DNN. Easily set up sub communities, for instance for a specific brand-related research topic. Of course, these smaller sub-portals can be branded in a completely different layout. Community and panel members can join as many sub communities as you want them to. As if the possibility to combine qual/quant/web and mobile into one Platform wasn’t enough, we developed a way to add sequential feedback to the mix as well. 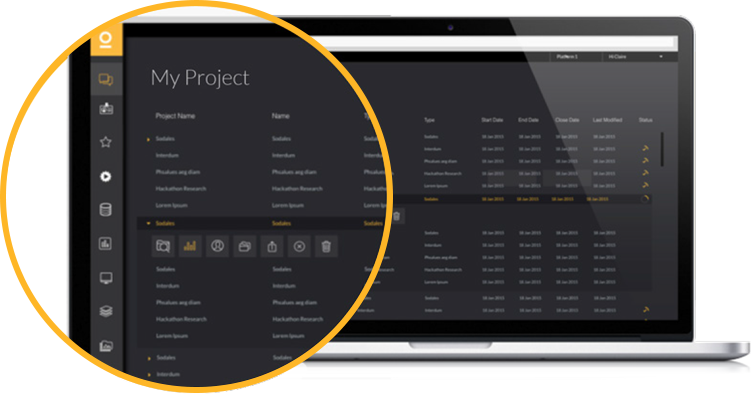 This way, you can set up a sequence of projects and let the system decide when to start with the next sequence based on task completion time or a predefined schedule. For instance: did your panel member just fill in a quantitative online survey? Automatically invite him or her to a diary task tomorrow! We just can’t wait to see how you will use this powerful feature to come up with the craziest research projects! Did we already mention that advanced project analytics are included? Or that we created a detachable dashboard module that easily lets you combine research data from different sources and projects - including pictures and videos - into fancy dashboards? Or the fact that there is an API available as well that allows you to link external tools (CRM,…) with PlatformOne? You guessed it: there is just so much more to talk about and to show you. So if you are a panel or community manager – or just someone searching for voice of the customer or mobile research solutions: let’s meet up and have a chat! PlatformOne is the result of a long standing friendship and technical collaboration between Jerome Sopocko (one of the founders of Askia) and Jon Gumbrell (Technical Architect and director of PlatformOne). This way, PlatformOne is set up as a separate company based in London, but very much a joint venture with Askia as a major PlatformOne shareholder. Being a long-time Askia partner, MyForce is also the Benelux supplier of the PlatformOne product range.